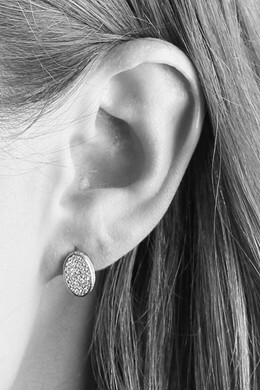 Our exclusive Sterling Silver Collection: Feminine and simple but eye catching earrings in Sterling silver. 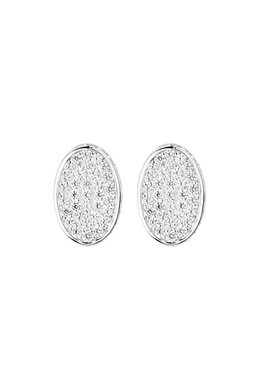 The oval shaped earrings are decorated with tiny white Swarovski crystals on the front and around the side. 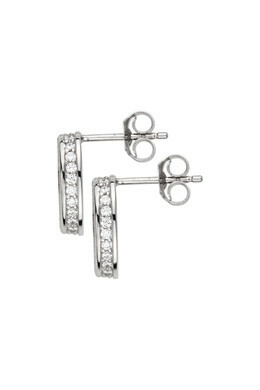 Match up with any outfit and they will bring you all the shine you need. With butterfly closure.